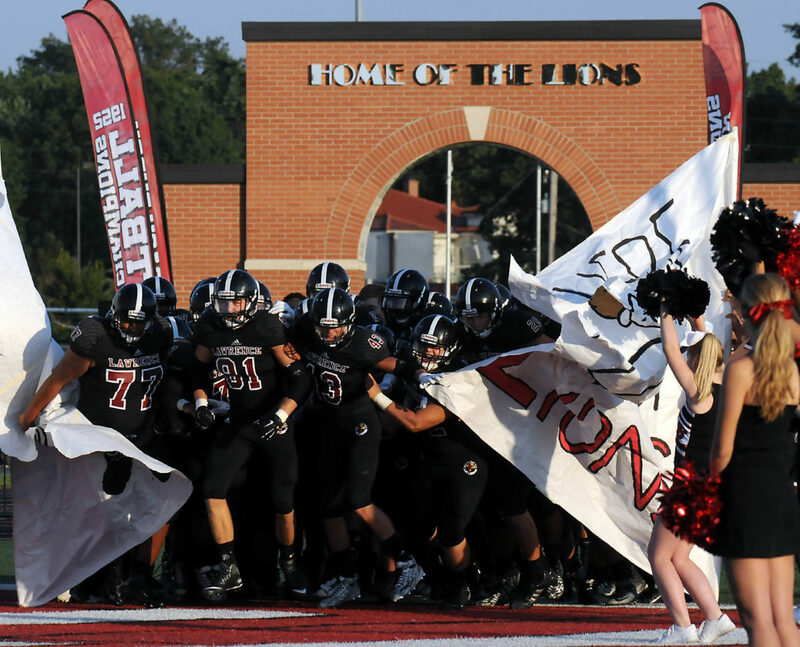 The Lions break out in style for the start of the season opener as Lawrence went against Blue Valley West Friday. 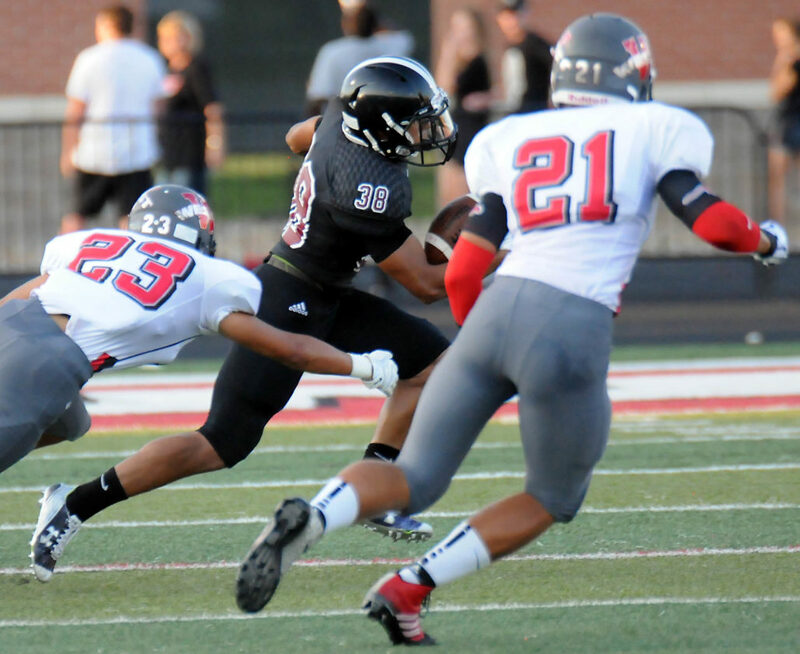 Trey Moore (38) cuts away for extra yards as Lawrence went against Blue Valley West Friday. 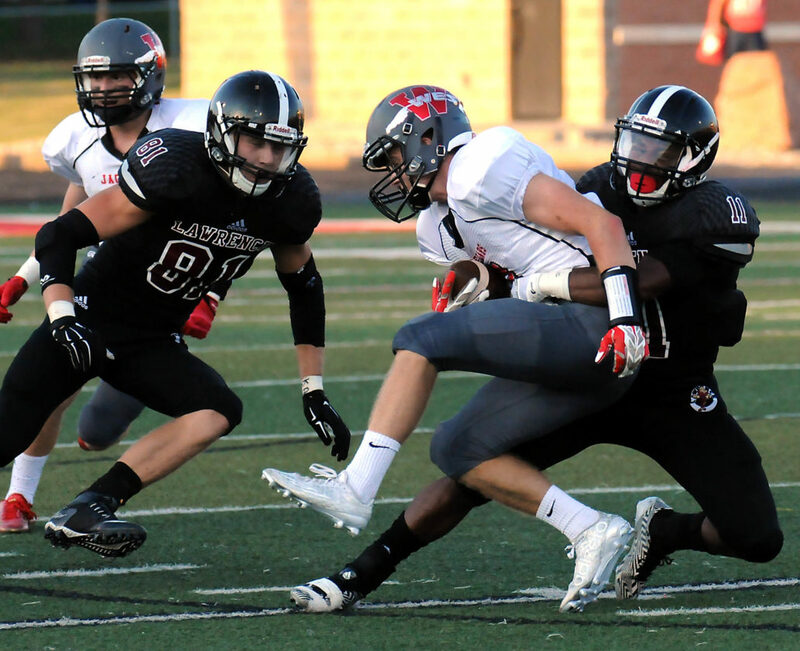 JD Woods puts a stop on Jake Lansford for a lost of yards as Lawrence went against Blue Valley West Friday. 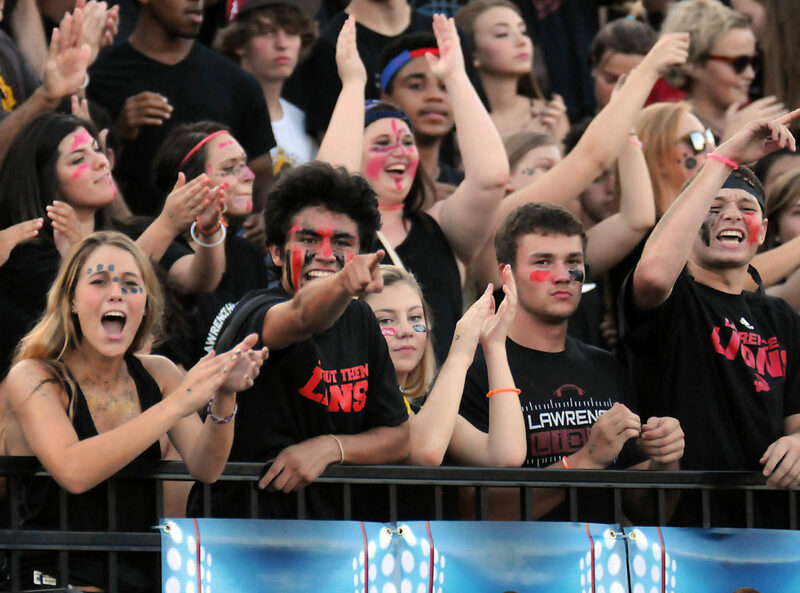 Fans cheer after the Lions score in the first half as Lawrence went against Blue Valley West Friday. 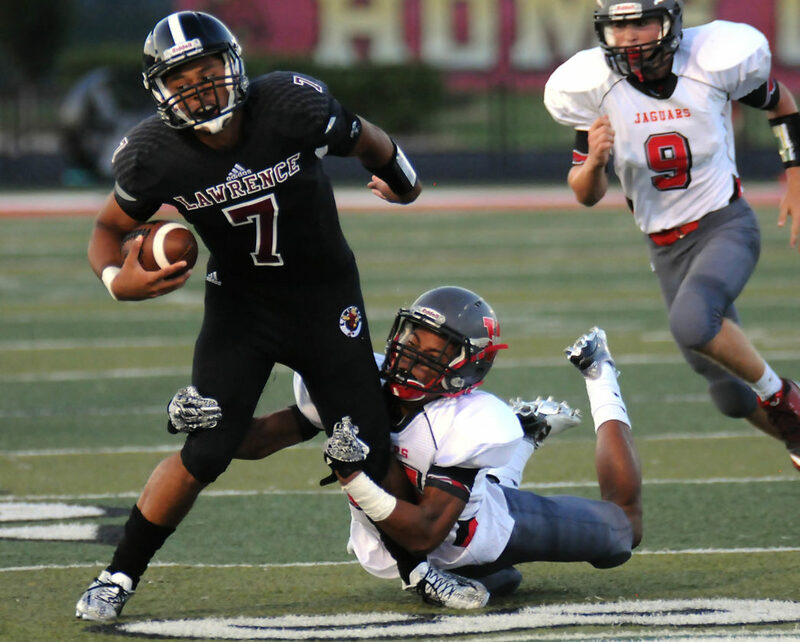 Lions quarterback Alan Clothier stretches out for extra yards as Lawrence went against Blue Valley West Friday. 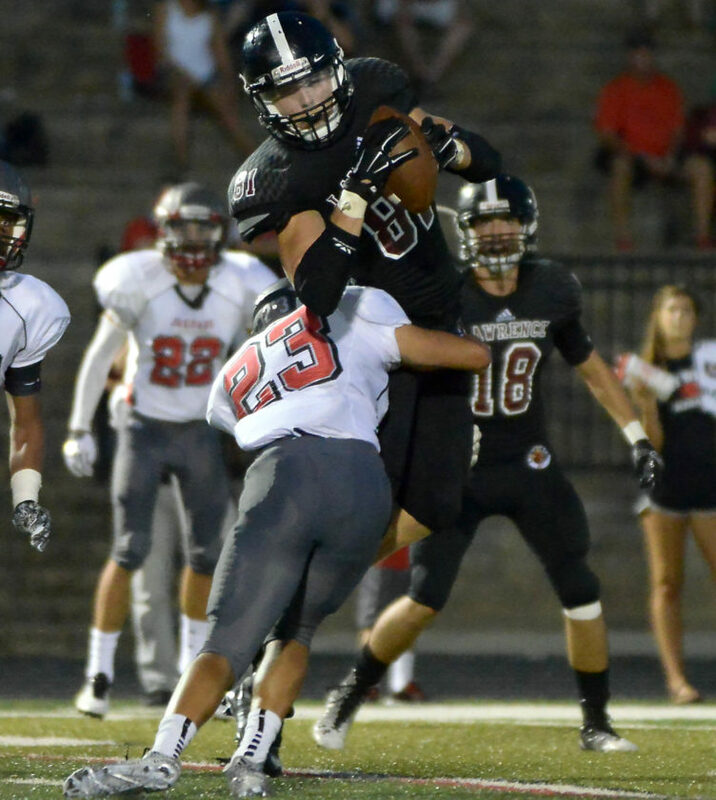 Alan Clotheir (7) looks for a receiver as Lawrence went against Blue Valley West Friday. 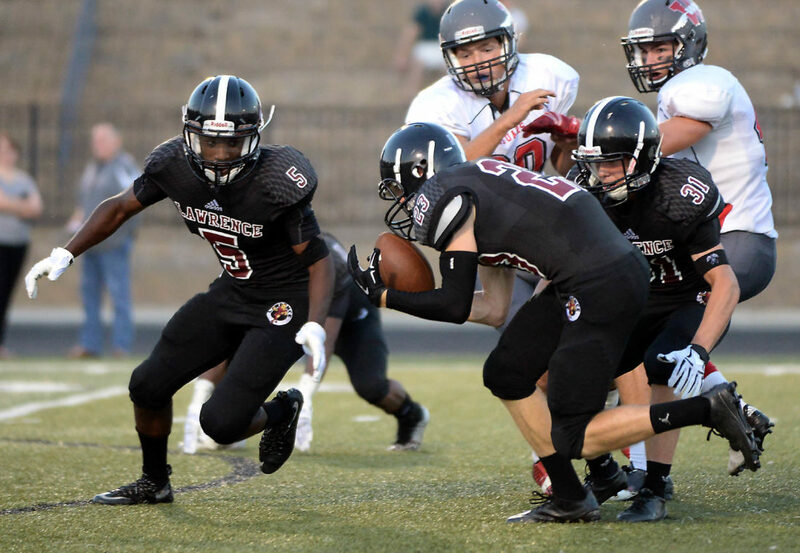 Quarterback Alan Clothier keeps the ball for yards as Lawrence went against Blue Valley West Friday. 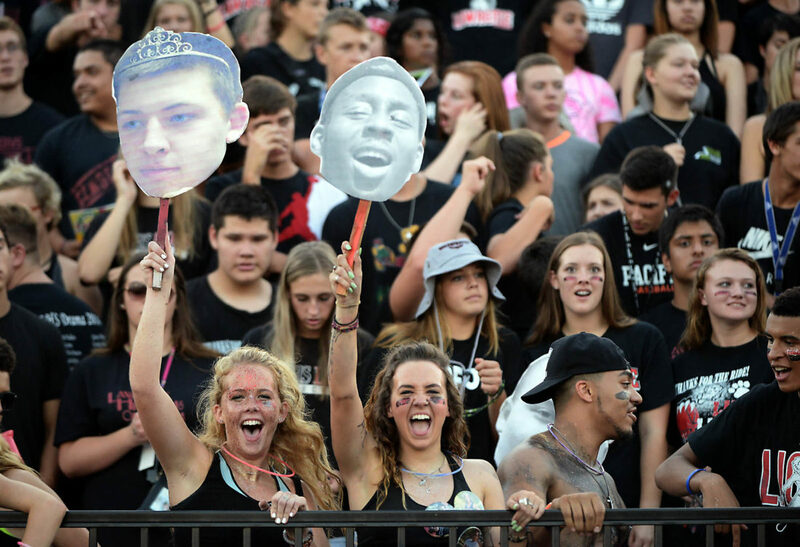 Fans in the stands as Lawrence went against Blue Valley West Friday. 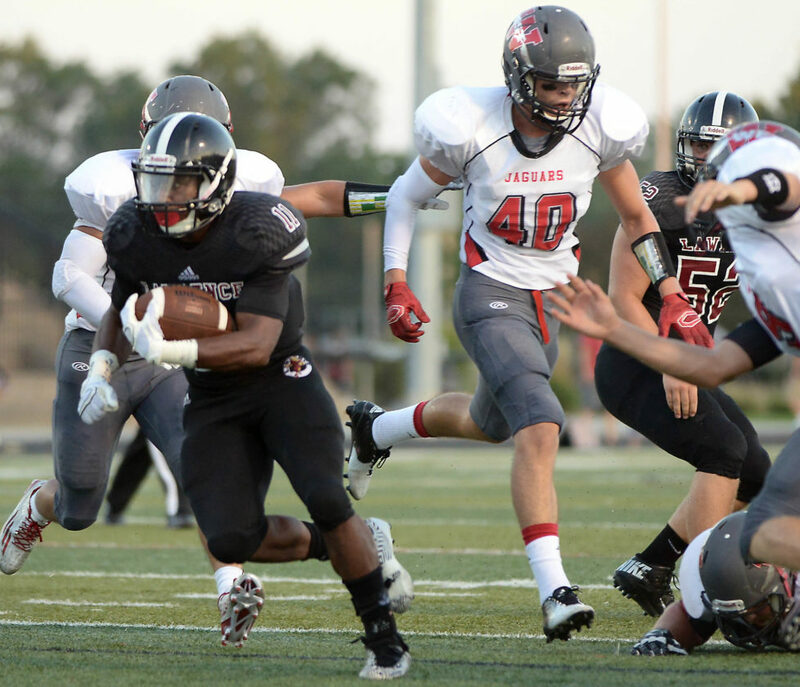 JD Woods cuts inside for extra yards as Lawrence went against Blue Valley West Friday. 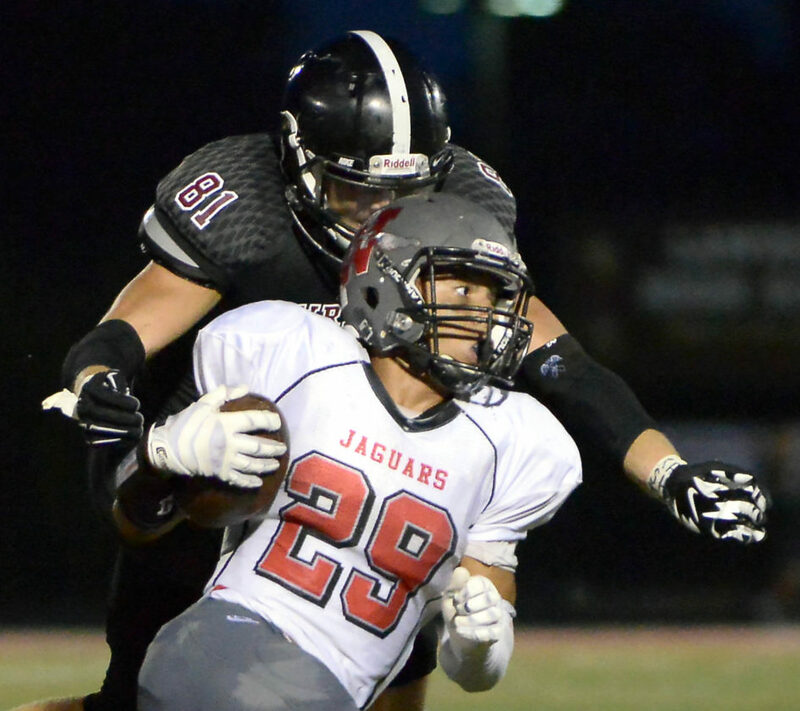 Erik Shackelford (23) got the ball on a blocked punt and returned it for a score in the first half as Lawrence went against Blue Valley West Friday. 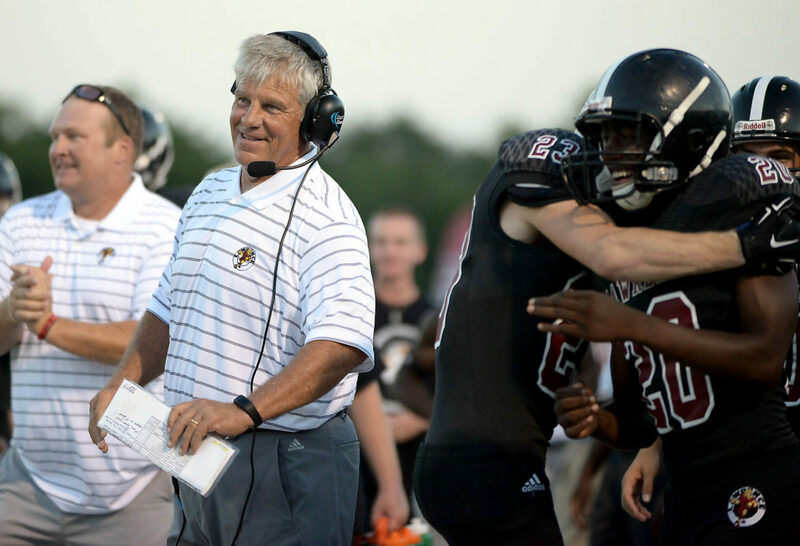 Lions head coach Dirk Wedd smiles after a block punt was returned for a touchdown as Lawrence went against Blue Valley West Friday. 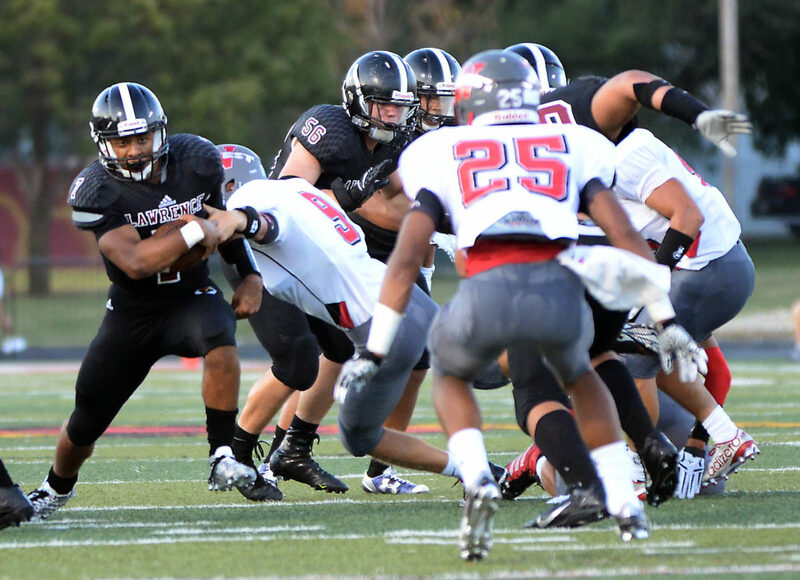 Ivan Hollins zeros in on BVW quarterback as Lawrence went against Blue Valley West Friday. Price Morgan grabs a reception for yards as Lawrence went against Blue Valley West Friday. 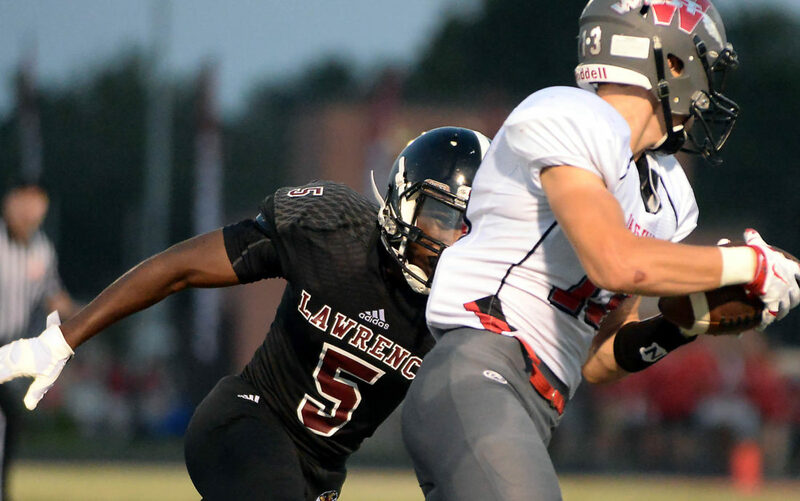 Price Morgan wraps Jaoh Lacy for a stop as Lawrence went against Blue Valley West Friday.